What is the Patch-9 ? It is a patch we frequently use for our periodic updates, so make sure keep it updated, either from the Website or using the Launcher. What is the Patch-H ? It is a patch that updates the player models from their old versions to their Warlords of Draenor version, making them look better. 1. When u update launcher? Like 1.0.1 ver? When I am ready to update it and we're looking into the performance of the launcher how to improve it at its current state. We are aware of this and trying to locate what the issue is. The model ID is set correct in the DB. We have a temp fix for this but it requires the player to abandon the pet and tame it again (in game ticket for this matter). 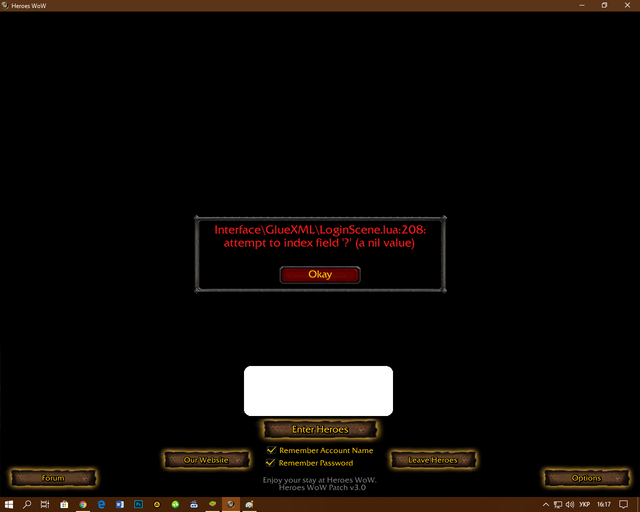 Regarding the login screen, also we are aware of this issue and currently looking into it what is caussing it. 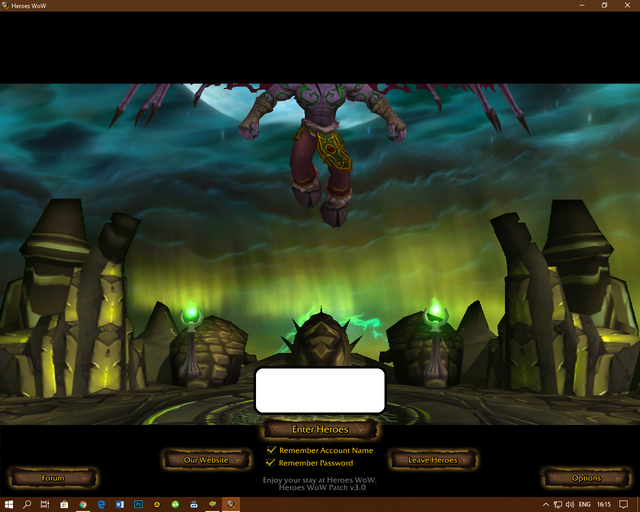 This only happens when you are logged in and trying to switch account. can you put Patch-H in Download section, to download it ? pleasse.